Produced from premium quality full tempered bright polished spring steel for a long lasting edge. 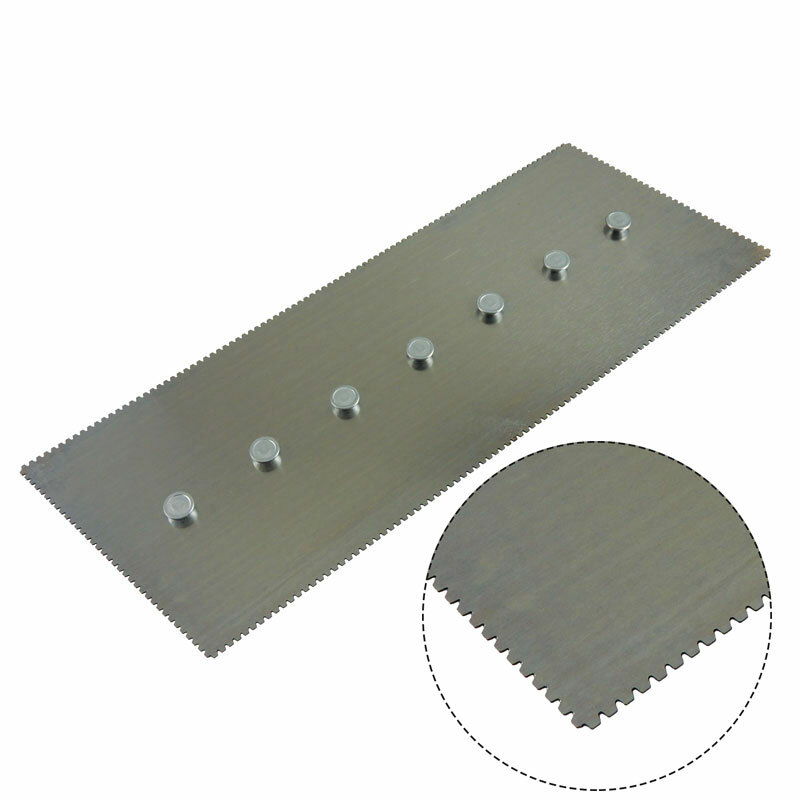 Blades are flexible and measure 115mm X 290mm. Designed for right hand use. Blades are flexible and measure 115mm x 290mm. Designed for right hand use. The handles (sold separately),Nos. 682-TH and 683-TH securely fasten to the blade by simply aligning the slotted openings of the handle with the steel button projections of the blade and tapping the trowel edge on the floor until tight and the front button is covered. To remove blade, simply tap trowel on opposite end.